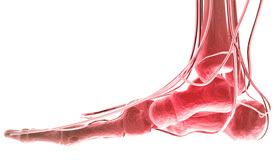 For more information about Plantar Fasciitis or to schedule your consultation with Dr. Shikoff, call our office in Bensalem, PA at Bensalem Office Phone Number 215-638-4446, or use our Online Contact Form. Dr. Shikoff will exam your foot for swelling, redness and tenderness of the area. X-rays may be taken.